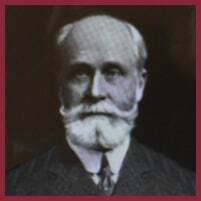 James F. Tracey was a partner of the firm from 1882 to 1925. Tracey, born in 1854, was the firm’s first partner of Irish descent, mirroring the large growth in Albany of this immigrant population since the mid -nineteenth century. Tracey graduated from Georgetown University, and Albany Law School, and was admitted to the bar in 1875. Like James Fenimore Cooper, Tracey trained with noted Albany lawyer Marcus T. Hun. In 1882, he partnered with James Fenimore Cooper and his father Paul Fenimore Cooper (senior counsel) and the firm became known as Tracey & Cooper. As new partners were added, the firm successively became known as Tracey, Cooper & Rathbone; Tracey, Cooper and Townsend and Tracey, Cooper & Savage. Tracey was an expert in corporate law. He served as the examiner of corporations for the New York Secretary of State, and taught corporate law for many years at his alma mater, Albany Law School. In 1902, President Roosevelt named Tracey as a justice of the Supreme Court of the Philippines. He served there until 1905, when he resumed his law practice with the firm. He was actively involved in Democratic politics. Judge Tracey died in 1925 at the age of 71. James Fenimore Cooper was the son of Paul Fenimore Cooper, a partner in the firm, and grandson of the famous author James Fenimore Cooper. He was a partner of the firm from 1882 to 1938. Cooper trained in the law with the noted Albany lawyer Marcus T. Hun, and was admitted to the bar in 1882. He then joined his father in the firm Jenkins & Cooper. After his father’s death in 1895, the firm became known successively as Tracey, Cooper & Rathbone; Tracey, Cooper and Townsend; Tracey, Cooper & Savage, and, in 1925, Cooper Erving & Savage by which it is known today. During Cooper’s tenure the firm became known for its expertise in banking law, for which it remains to the present day. Cooper was a director of several banks. The major clients of the firm were First Trust Company (now Key bank) and Albany Savings Bank (now RBS Citizens Bank). Cooper was a director of First Trust Company, and his mentor Marcus T. Hun, and partner Frederick Townsend II, both served as president of Albany Savings Bank. This began a long line of Cooper Erving partners serving as bank directors and officers. Cooper authored a book about his native Otsego County entitled Legends and Traditions of a Northern County and complied two volumes of correspondence of his namesake grandfather. James Fenimore Cooper died in 1938 having been a member of the firm for 56 years. Albert Rathbone was a partner of the firm from 1893 to 1899. Rathbone, born in Albany in 1868, graduated from Williams College and Albany Law School. He joined the firm in 1893 which then became known as Tracey, Cooper & Rathbone. Like Tracey, Rathbone was an expert in corporate law and finance. In 1899 he left the firm to relocate to New York City. 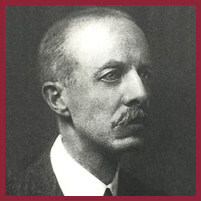 In 1901 he became a partner in Joline, Larkin & Rathbone, and in the booming decade before World War I, helped organize and reorganize many major US corporations, including several railroads. After the war he was named by Woodrow Wilson as the Assistant Secretary of the US Treasury. In 1920, he returned to his law practice at his old firm, which shortly thereafter became Rathbone, Perry Kelley and Drye with Rathbone as the senior partner. Under his leadership the firm became one of the most prestigious in the country. Rathbone died in 1943 at the age of 75. He is buried in the family plot in Albany Rural Cemetery. 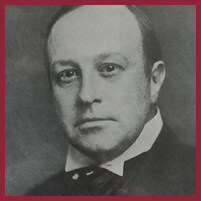 Frederick Townsend II was a partner of the firm from 1899 to 1920. 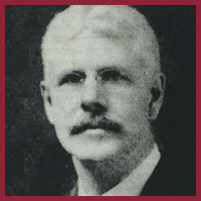 Townsend was born in 1871, a descendant of one of Albany’s oldest families. He attended Albany Boys Academy where he excelled, graduating at the head of his class. He went on to Harvard College where he graduated Phi Beta Kappa. He then earned his law degree at Harvard Law School. After law school, Townsend returned to Albany and entered the firm, then known as Tracey, Cooper & Rathbone. In 1899, after Rathbone went to New York City, Townsend became a partner, and the firm became Tracey, Cooper & Townsend. Townsend’s forte was banking. During his law career he was a trustee and attorney for the Albany Savings Bank. He then became its president, and served in that capacity until he retired in 1941. He was also served as vice-president of State Bank of Albany, Treasurer of the Van Rensselaer Land Company, and as the president of the Albany Home for Children. He was also as a trustee of Albany Medical College and Dudley Observatory. He died in 1949 at age 78 having lived a long and distinguished life. B. Jermain “Jerry” Savage (Partner 1918 to 1952) was born in 1882 in Newburgh, New York. He graduated Phi Beta Kappa from Williams College. He received his law degree (with honors) from New York Law School. In 1910, he entered the firm then known as Tracey, Cooper & Townsend. In 1914, he left to serve in World War I, and, when he returned, became a firm partner. When Townsend left to become president of Albany Savings Bank, the firm became known as Tracey, Cooper & Savage. When James Tracey died in 1925, and William Van Rensselaer Erving joined the firm, it became known as Cooper Erving & Savage by which is known to the present day. Savage specialized in corporate law, estate and tax law and was an authority on banking law. In 1941, he was named as chairman of the board of First Trust Company and remained so until his death. He was also a senior vice president of Albany Savings Bank. Both banks were firm clients. He served on many other corporate and civic boards, including the William P. Van Rensselaer Estate Corporation. He frequently lectured on the history of the Van Rensselaer family. He was early investor in television and an owner Champlain Television Corporation. Savage died in 1952 at age 69. 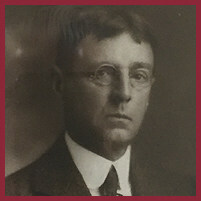 William Van Rensselaer Erving was a partner the firm from 1925 to 1940. Erving was born in 1871 in New York City, a descendant of the Van Rensselaer patroons. He was educated at private schools in New York City after which he received his law degree from Albany Law School. He relocated to Albany and became involved in Republican politics led by the Barnes machine. In 1920, he ran for Albany mayor in a highly contentious race and lost to the Democrat William S. Hackett. This ushered in Democratic Corning/O’Connell organization which controlled Albany politics for the rest of the twentieth century. Erving became a partner of the firm in 1925 and the firm became known as Cooper Erving & Savage and remains so to the present. His expertise was in corporate and trusts and estate law, and was known to be a strong advocate for his clients. For 35 years Erving was a trustee and secretary of Albany Savings Bank, a major firm client. He managed the William P. Van Rensselaer Estate Corporation, which was organized to handle the Van Rensselaer family holdings. His principal hobby was navigation, and he was an avid member of the New York Navigation Institute. Erving died in 1940 at age 68. Edward S. Rooney, a partner the firm from 1929 until his death in 1970, was born in Albany in 1906. He graduated from Manhattan College and received his legal education at Harvard Law School. He joined the firm in 1929 and was senior partner from 1952 to 1970. Rooney was a brilliant lawyer excelling in banking law. He was counsel for the State Banking Association and played a major role in a famous test case in the Court of Appeals which established that savings banks could legally stop interest payments on accounts inactive for over 20 years. Vennard v. Albany Savings Bank, 282 N.Y. 718 (1940) Click here for decision. In 1944, at age 38, Rooney became the youngest president of the First Trust Company Bank. He held that position for 24 years until the bank merged with Bankers Trust New York, at the time the nation’s second largest bank. He then became a director of Bankers Trust. Rooney was also a trustee of Albany Savings Bank and director of The United Traction Company, both large firm clients. Rooney was gregarious and generous and a prodigious business producer. In his little time off, he enjoyed being with his family at Lochlea Estate his Lake George summer home. Rooney died in 1970 at age 64. 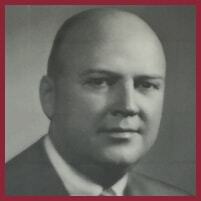 Eugene P. Devine was a firm partner from 1947 until his death in 1974. Born in 1912, he attended Niagara University and, in 1940, obtained his law degree from Albany Law School. He then joined Cooper Erving & Savage and in 1947 became the third partner of Irish descent, following James Tracey and Edward Rooney. As many prior partners, he was involved in Albany politics. He was a confidant of the legendary Democratic boss, Dan O’Connell, and was elected Albany County Treasurer in 1956 and served as such for several terms. He also was the chairman of the Albany Housing Authority. In addition, he was a director of Hedrick Brewing Company, a well- known O’Connell-owned entity. Devine was a director of First Trust Company and trustee of Albany Savings Bank. On a personal level, he was known for his keen mind and sharp wit. A lifelong smoker, Devine died of lung cancer in 1974 at age 61. His son Eugene “Gus” Devine was a firm partner from 1981 to 1985, and now serves as a New York Supreme Court Judge on the Third Department Appellate Division. 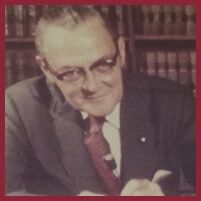 Harry S Christenson was a firm partner from 1952 until his death in 1980. He attended Manhattan College, graduated from Albany Law School and was admitted to the bar in 1939 at age 23. He entered into private practice, which he left to serve as an Army captain in World War II. At the end of the war he returned to private practice, and, in 1952, he joined Cooper Erving as a partner. He was a strong and tireless advocate for his clients, which were numerous. One his noted cases was for his client Dr. Albert Vander Veer, a prominent Albany surgeon who was completely disabled as a result of being hit by a golf cart. In the personal injury and product liability suit that followed Christenson served as co- counsel with famed trial attorney Al Julien. The result was a substantial jury verdict, reported to be the then highest ever awarded in Albany Supreme Court. The incident also produced another lawsuit relating to Dr. Vander Veer’s disability insurance policy. This case resulted in a significant precedent in New York’s highest court, the Court of Appeals. The Court found in Vander Veer v. Continental Casualty Co., 34 NY2d 50 (1974) Click here for decision. that Dr. Vander Veer had, as a matter of law, materially misrepresented his medical history, despite the jury verdict and Appellate Division findings of fact to the contrary. 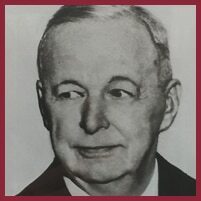 Christenson served as an Albany City Court Judge from 1956 to 1958, and was a member of the Albany City Planning Board. Judge Christenson was a director of First Trust Company and trustee of Albany Savings Bank and was also very active in the community. 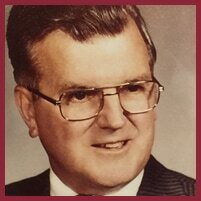 He served on several charitable boards, including St. Peter’s Hospital, Bender Laboratory, Christian Brothers Academy and LaSalle School. He died in 1980 at age 64. 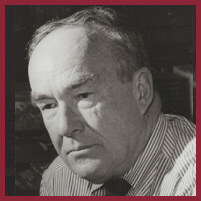 Thomas M. Whalen III was a firm partner from 1964 to 1988. He was educated at Manhattan College and Albany Law School. He was politically ambitious, and a protégé of partner Eugene Devine who connected him with legendary Democratic party leader Dan O’Connell. In 1969, with the help of Devine, Whalen was elected as an Albany City Court Judge where he served until 1975. In 1981, he was handpicked by longtime Albany Mayor Erastus Corning to be his successor. In that year, Whalen was elected as President of the Albany Common Council, and became mayor on Corning’s death in 1983. He served for three terms, and was considered to have reformed and modernized Albany’s finances and instilled a new civic pride in its citizens. While he was mayor in 1987 the firm merged with Nolan & Heller and became known as Cooper, Erving, Savage, Whalen, Nolan & Heller. After Whalen withdrew from the firm in 1988, due to conflicts of interest, the firm was known as Cooper, Erving, Savage, Nolan & Heller. The firm subsequently demerged in 2001 and again became known as Cooper Erving & Savage. Upon his retirement as mayor he returned to the firm. In 2002, Whalen died in a one-car automobile accident. It should be noted that Whalen was the second firm member to serve as Albany mayor. Teunis Van Vechten was a four term mayor in early 19th Century.